At the annual Transpacific Maritime conference (TPM) in Long Beach, the impending implementation of the low sulphur fuel regulations loomed large over many of the discussions. Given that this is the kick-off of the annual contract negotiations for the Pacific trade with the commitments stretching well into 2020 it is only natural that this should be the case. Whilst substantial uncertainty still surrounds the actual costs from 2020, consensus at the moment is in the range of $10-15bn annually. The positive vibe coming out of the TPM corridor talks is that shippers in the main seem to accept that ultimately the cost of this change cannot be paid by the carriers and have to be passed on. But this is also the main extent of the conceptual agreement. The practicalities in relation to how this cost is going to be passed on is much more contentious. The carriers have devised fuel surcharge formulas which differ quite substantially. Not because any formula is inherently more or less ‘fair’ than any other formula, but because the carriers have chosen differently in terms of apportioning the costs across for example head haul versus back haul. Clearly the shippers also have different opinions on how to apportion these costs. And this is what will provide the largest challenge in getting acceptance/adoption of the variable fuel surcharges. But in the midst of this, let us not forget that it is far from a disaster scenario for the shippers. Presently the bunker fuel price is around $480 a ton. The graph shows the development in the price for bunker fuel as per BunkerIndex over the past 10 years. 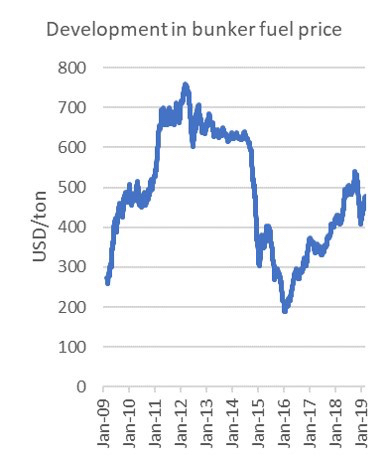 It is clear that we have for a long time been in a situation where the price was at $600-700 a ton – which is the level we will get back to if the predictions for low sulphur prices are correct. Clearly the industry did not falter in the period 2011-2014, and it is even more abundantly clear that the shippers were okay with paying freight rates in that period which covered the cost of such high fuel prices. 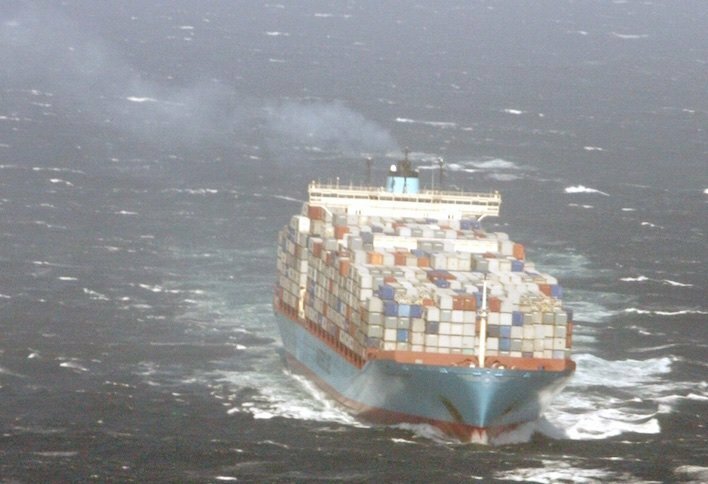 Moreover, during the period of $700 a ton bunker fuel, carriers also had floating fuel surcharges in place – and to boot carriers had different surcharges in the key trades to Europe as the block exemption abolition prevented them legally from aligning their formulas. The only thing different now compared to 2011-2014 is that the carriers are somewhat more transparent in how their bunker surcharges work compared to five years ago. Hence, from a pure cost/pricing perspective it is hard to see that the envisioned situation in 2020 is the slightest bit different from the situation both carriers and shippers were perfectly capable of handling in 2011-2014. Only three things have changed: 1) Freight rates have dropped sharply, conferring the benefit of the lower oil price to the shippers; 2) Carriers’ fuel surcharges formulas are now a bit more transparent than they were previously; 3) Vessels have grown in size, and hence the fuel price has marginally less impact on the carriers’ costs. In essence this means that despite the air of calamity, the de facto fundamentals predicted for 2020 is nothing new at all. What might be a potentially much bigger issue is if the actual physical supply of compliant fuel is not available – in that case all bets are off. If availability is not addressed by the market there could be secondary cost associated not only with compliance but as well with logistics.